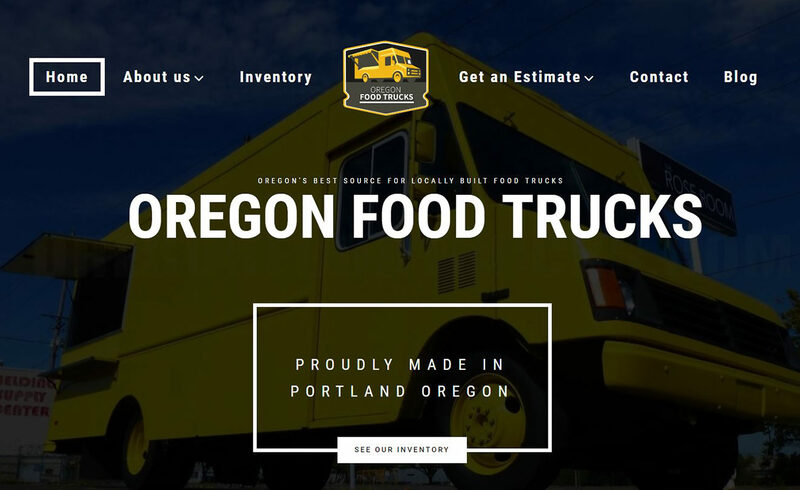 Oregon Food Trucks is a premier seller of food carts, mobile kitchens, and trailers. They came to us because they wanted to further grow their business by increasing their online presence. To make them stand out across a competitive market, we went with a modern, edgy design. Coming to us with no previous content, we were able to craft custom content to fit the website and business needs. There are many notable features on this website including: a stylish dynamic inventory page where the client can easily post and update their inventory, styled forms throughout for an improved user experience, Instagram integration, and custom graphics throughout.